During the late 1940s and early 1950s, the prospect of communist subversion at home and abroad seemed frighteningly real to many people in the United States. These fears came to define–and, in some cases, corrode–the era’s political culture. For many Americans, the most enduring symbol of this “Red Scare” was Republican Senator Joseph R. McCarthy of Wisconsin. Senator McCarthy spent almost five years trying in vain to expose communists and other left-wing “loyalty risks” in the U.S. government. 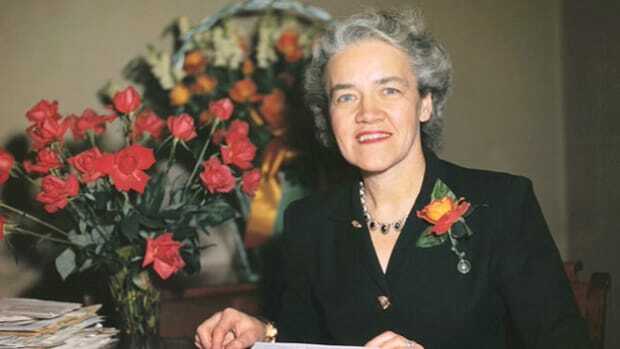 In the hyper-suspicious atmosphere of the Cold War, insinuations of disloyalty were enough to convince many Americans that their government was packed with traitors and spies. McCarthy’s accusations were so intimidating that few people dared to speak out against him. It was not until he attacked the Army in 1954 that his actions earned him the censure of the U.S. Senate. In the years after World War II ended, events at home and abroad seemed to many Americans to prove that the “Red menace” was real. In August 1949, for instance, the Soviet Union exploded its first atomic bomb. Later that year, Communist forces declared victory in the Chinese Civil War and established the People’s Republic of China. In 1950, North Korea’s Soviet-backed army invaded its pro-Western neighbors to the South; in response, the United States entered the conflict on the side of South Korea. Did you know? Along with the Army-McCarthy hearings, journalist Edward R. Murrow’s exposés of McCarthyism played an important role in the senator’s downfall. On March 9, 1954, millions of Americans watched as the national news program "See It Now" attacked McCarthy and his methods. All of these factors combined to create an atmosphere of fear and dread, which proved a ripe environment for the rise of a staunch anticommunist like Joseph McCarthy. At the time, McCarthy was a first-term senator from Wisconsin who had won election in 1946 after a campaign in which he criticized his opponent’s failure to enlist during World War II while emphasizing his own wartime heroics. In February 1950, appearing at the Ohio County Women’s Republican Club in Wheeling, West Virginia, McCarthy gave a speech that propelled him into the national spotlight. Waving a piece of paper in the air, he declared that he had a list of 205 known members of the Communist Party who were “working and shaping policy” in the State Department. The next month, a Senate subcommittee launched an investigation and found no proof of any subversive activity. 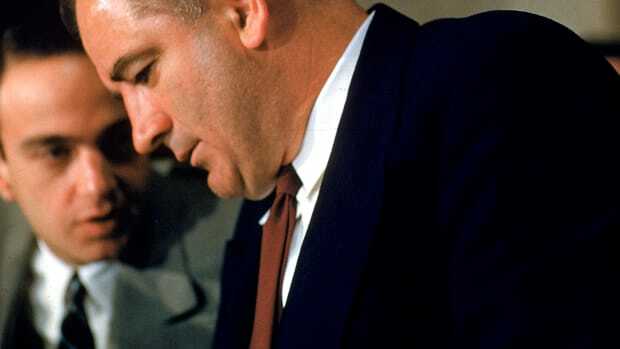 Moreover, many of McCarthy’s Democratic and Republican colleagues, including President Dwight Eisenhower, disapproved of his tactics (“I will not get into the gutter with this guy,” the president told his aides). Still, the senator continued his so-called Red-baiting campaign. 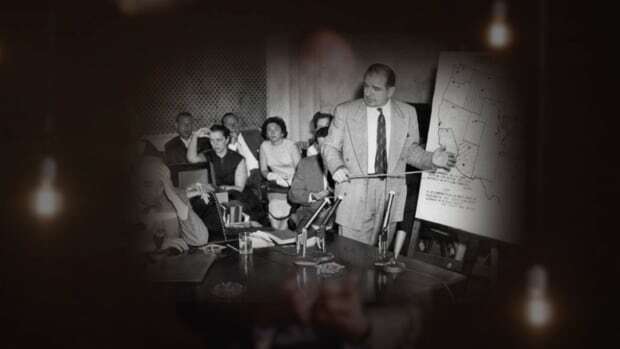 In 1953, at the beginning of his second term as senator, McCarthy was put in charge of the Committee on Government Operations, which allowed him to launch even more expansive investigations of the alleged communist infiltration of the federal government. In hearing after hearing, he aggressively interrogated witnesses in what many came to perceive as a blatant violation of their civil rights. Despite a lack of any proof of subversion, more than 2,000 government employees lost their jobs as a result of McCarthy’s investigations. In April 1954, Senator McCarthy turned his attention to “exposing” the supposed communist infiltration of the armed services. Many people had been willing to overlook their discomfort with McCarthyism during the senator’s campaign against government employees and others they saw as “elites”; now, however, their support began to wane. Almost at once, the aura of invulnerability that had surrounded McCarthy for nearly five years began to disappear. First, the Army undermined the senator’s credibility by showing evidence that he had tried to win preferential treatment for his aides when they were drafted. 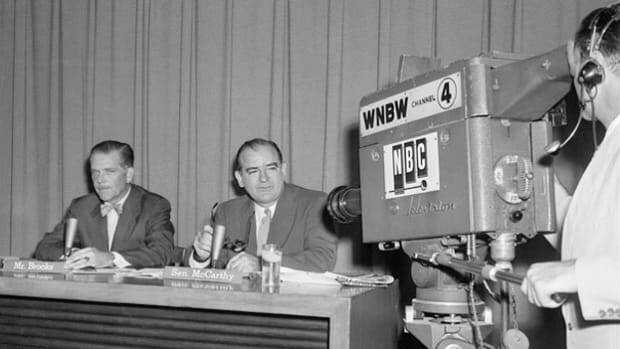 Then came the fatal blow: the decision to broadcast the “Army-McCarthy” hearings on national television. The American people watched as McCarthy intimidated witnesses and offered evasive responses when questioned. 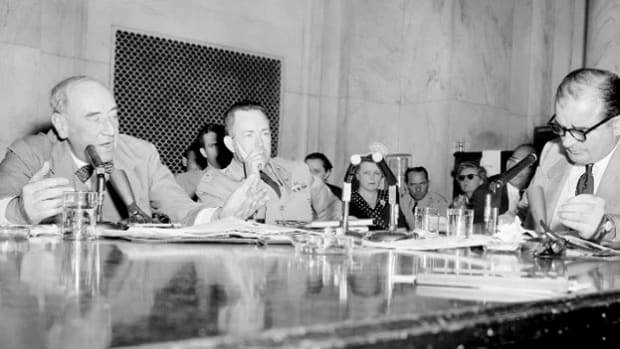 When he attacked a young Army lawyer, the Army’s chief counsel thundered, “Have you no sense of decency, sir?” The Army-McCarthy hearings struck many observers as a shameful moment in American politics. By the time the hearings were over, McCarthy had lost most of his allies. The Senate voted to condemn him for his “inexcusable,” “reprehensible,” “vulgar and insulting” conduct “unbecoming a senator.” He kept his job but lost his power, and died in 1957 at the age of 48.